If you’re as slow and error-prone as I am with touchscreen typing on your iPhone, this new gadget might be just the thing. 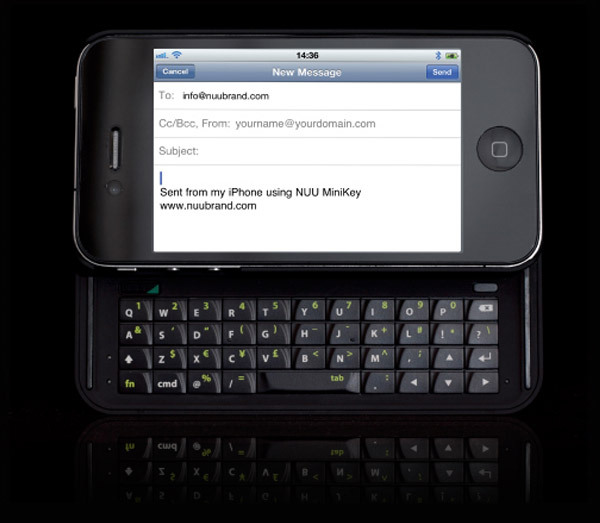 While the NUU MiniKey certainly isn’t the first add-on keyboard for the iPhone, it does look nicer than other entries into the category, and has a couple of nice bonus features. 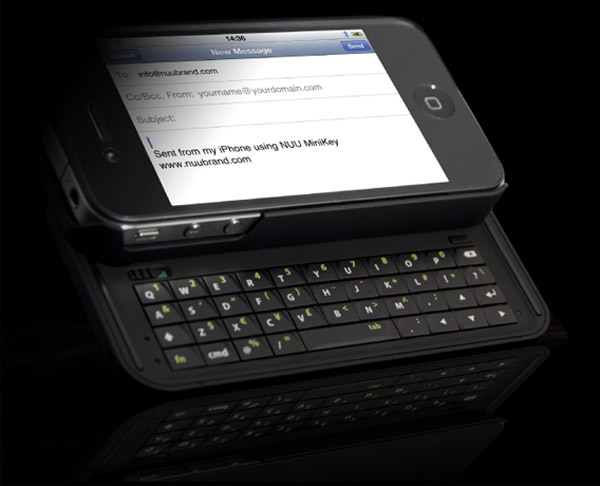 The NUU MiniKey adds slide-out keys to your iPhone 4, with a full QWERTY tactile keyboard, which connects via Bluetooth. The gadget snaps neatly around the back of your iPhone, and even has a thoughtful cutout for your camera and flash. I also like how the keyboard is backlit and offers some additional niceties like a “cmd” shortcut key that lets you quickly select, cut, copy and paste among other things. There’s also a convenient toggle switch which lets you decide between on-screen and tactile keyboard modes. There’s also a “fn” key which lets you easily access special characters. U.S. residents can pick up the NUU MiniKey over at Noetic for $79.99 (USD). 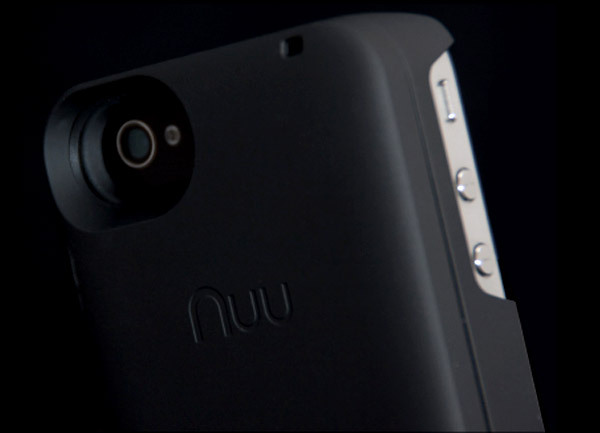 For resellers around the globe, check out the vendor list over at the NUU website.